It’s always lovely to hear from, and meet, readers and self-professed ‘fans’ of my blog. In the past 3 years I have received hundreds of emails, comments, messages on Facebook etc., some wanting ideas and advice, others just writing to say ‘thanks’, and have also enjoyed many a wonderful Taste Radol’ca meal together with readers generously wishing to show their appreciation. 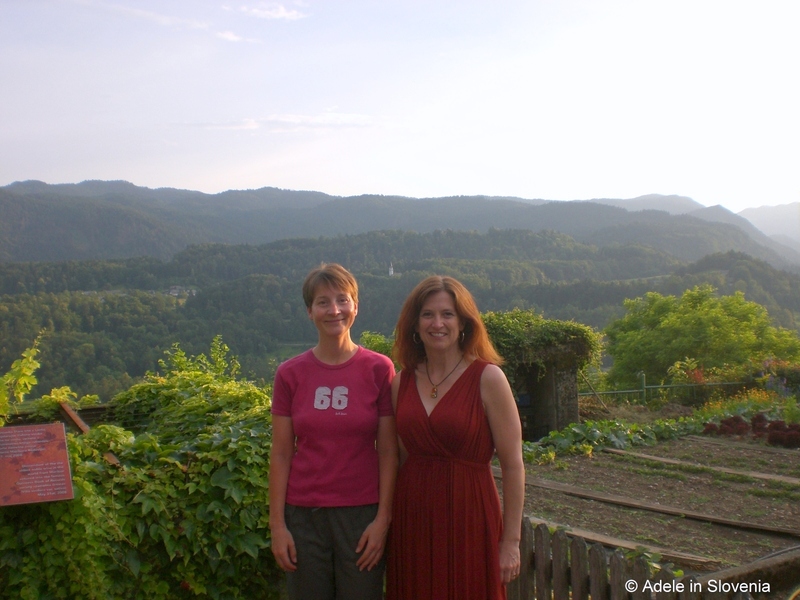 It was particularly nice, then, when I recently met a whole group of readers! 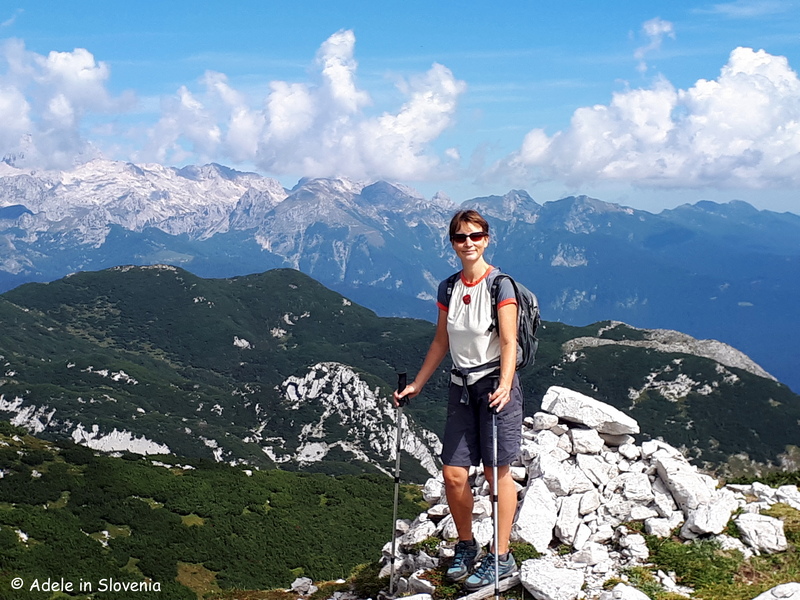 Patricia, a regular reader of my blog, has shared it with many of her group of fellow Americans, who were staying in Radovljica for a family swimming camp. She told me how helpful my blog had been in planning excursions and activities for the swimming camp and invited me to join the group for their final night’s banquet dinner at Kunstelj Inn – one of the Taste Radol’ca restaurants and just one of the venues where members of the group stayed during their visit. 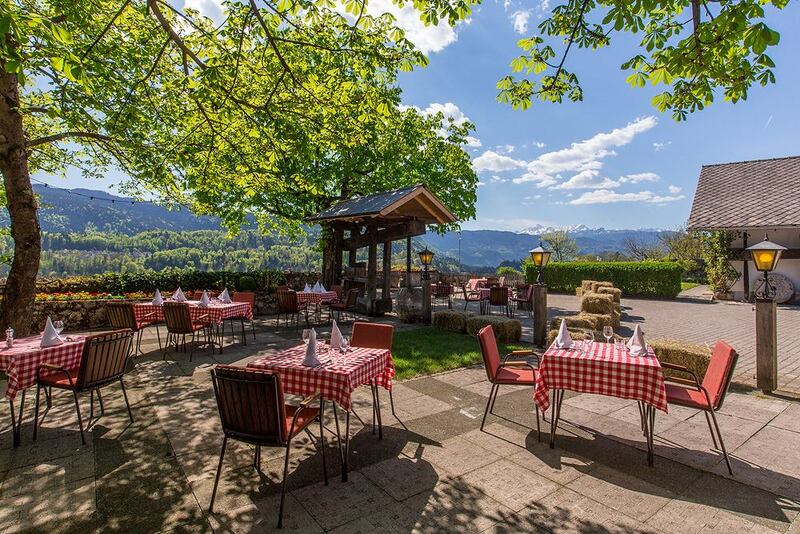 Maja and her team at Kunstelj Inn cooked up a delicious meal, using locally-sourced ingredients, and, as ever, the views from the terrace provided the icing on the cake! 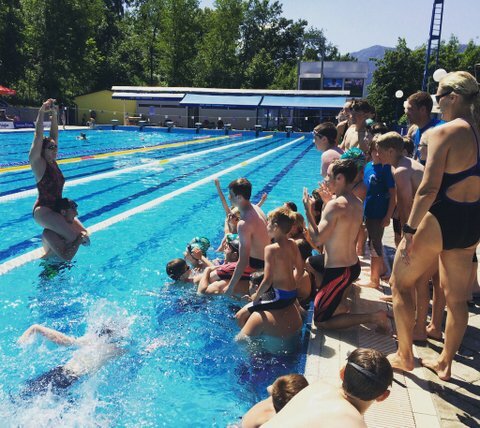 This was the 4th consecutive year that the Piranhas Swimming Club from Stuttgart chose Radovljica as the base for its summer family swimming camp. This year’s group totalled 108, comprised of 40 swimmers, with their families and friends, and, in some cases, 3 generations of the same family. 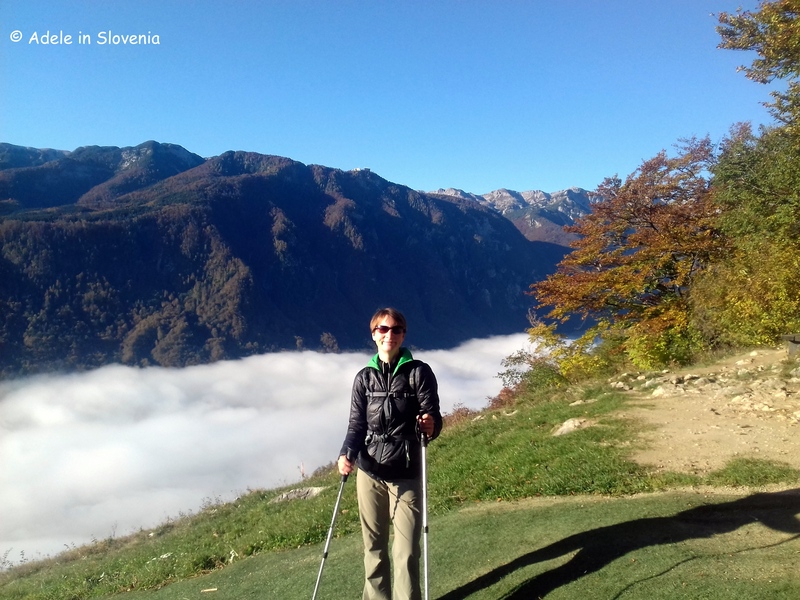 During their time staying in Radovljica, they certainly packed in a lot of sightseeing and activities, which just goes to show, as if proof were needed, what a wonderful place Radovljica is to base yourself for a holiday in Slovenia. 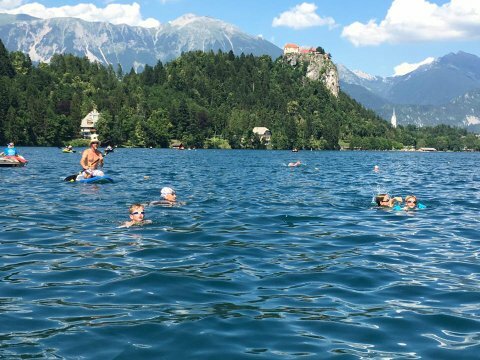 They swam in Bled Lake. 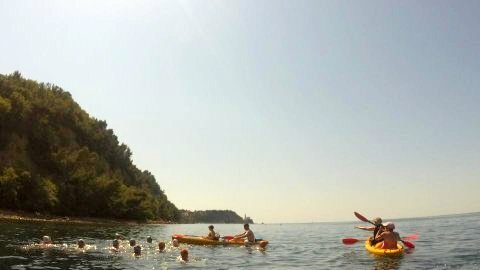 And did an open-water swim in the Adriatic sea in Piran Bay. 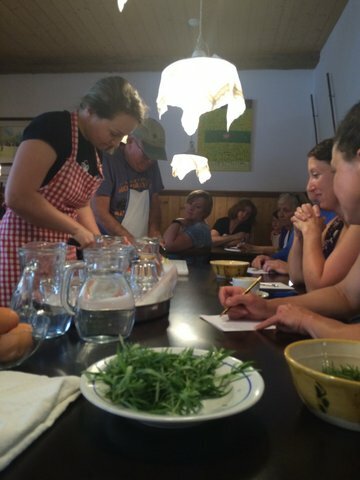 When not swimming, and for the non-swimmers among them, there was a whole host of other organised activities including cookery classes at Kunstelj Inn. 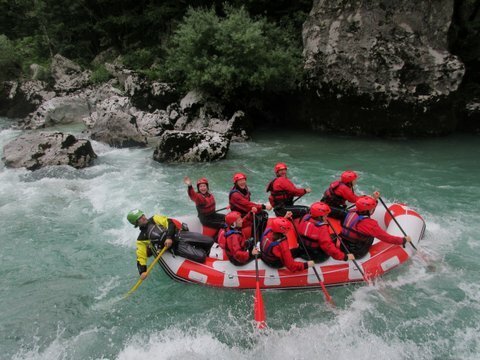 Rafting on the Sava and Soča rivers. 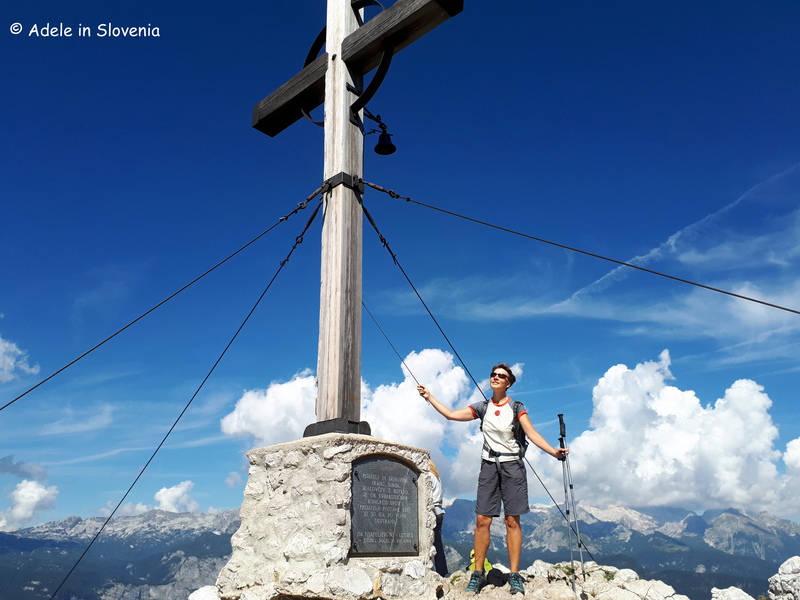 Other activities included a visit to the iron-forging village of Kropa, a ride in the cable car to Vogel, kayaking on Bohinj Lake, hiking to the Savica waterfall, a visit to the Škocjan Caves, fishing, playing golf, making the famous Lectar gingerbread hearts at Lectar Inn in Radovljica, and more! 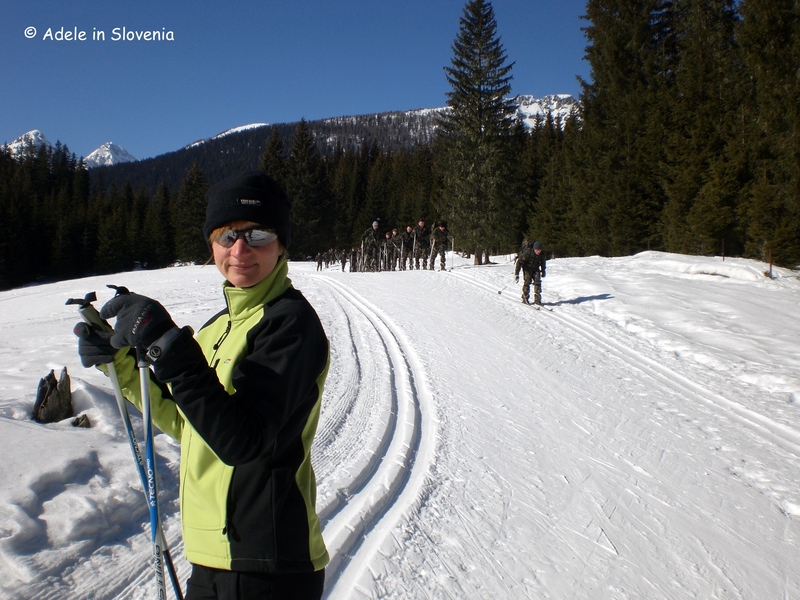 Patricia told me that they have all ‘fallen in love with Slovenia and Radovljica’ and are already planning the 2017 camp. 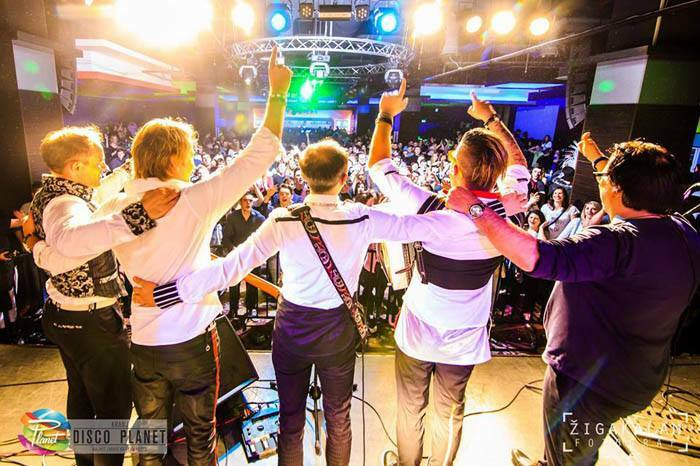 So, I look forward to seeing you all back here next year. In the meantime, I’ll keep writing and providing ideas for some more activities for next year, so, stay tuned! The Four Seasons of Spring! Last week we really did have all the four seasons within the space of four days. 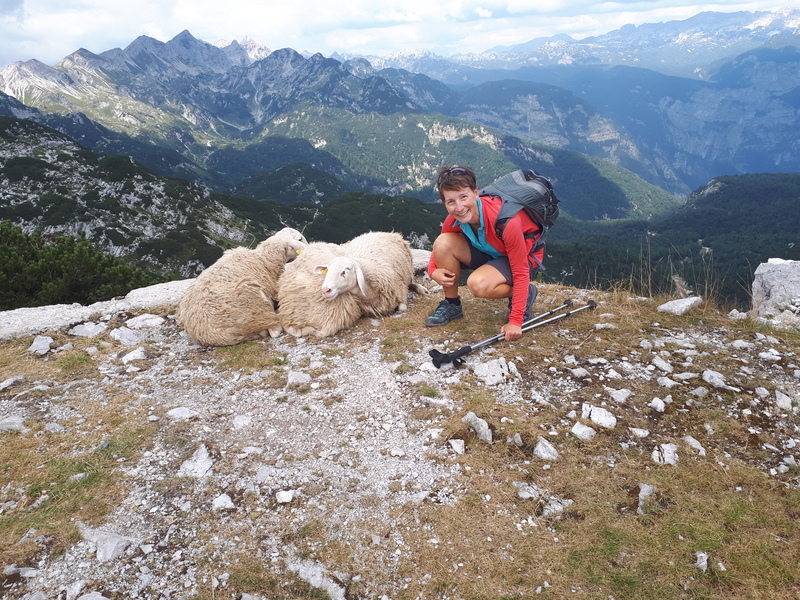 It began with a few snowflakes on Wednesday morning, which later became heavy snowfall, and certainly made a bit of a mockery of last week’s blog entitled ‘Spring in the Karavanke’. 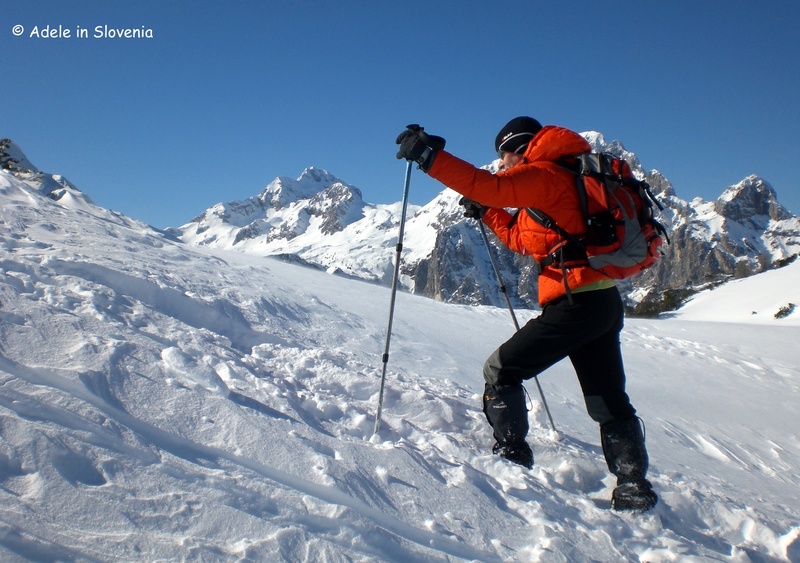 It’s now anything but spring in the Karavanke! 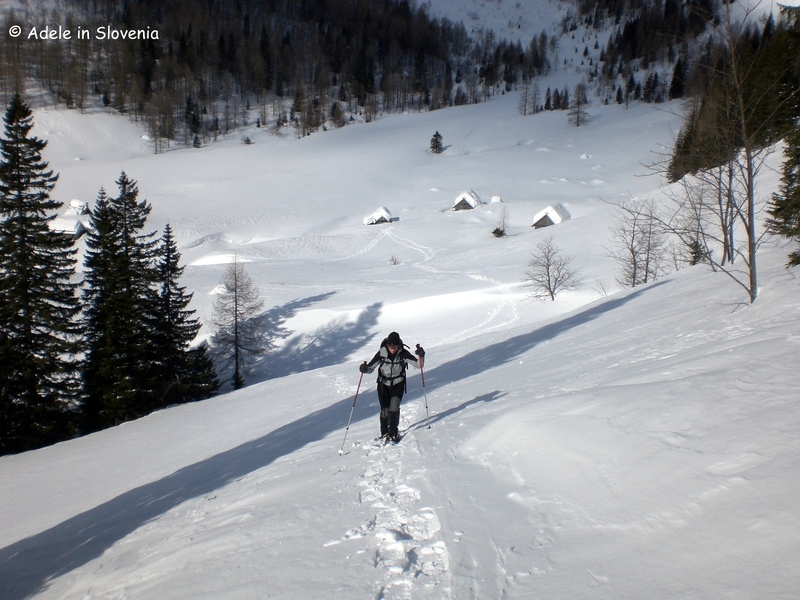 Though it had been forecast that it could snow in places at around the 700 metre level, Radovljica, where I live, is at 496m, so no-one, forecasters included, was quite expecting the snow to reach the valley – and certainly not so much of it – considering the previous week we had had temperatures in the twenties. 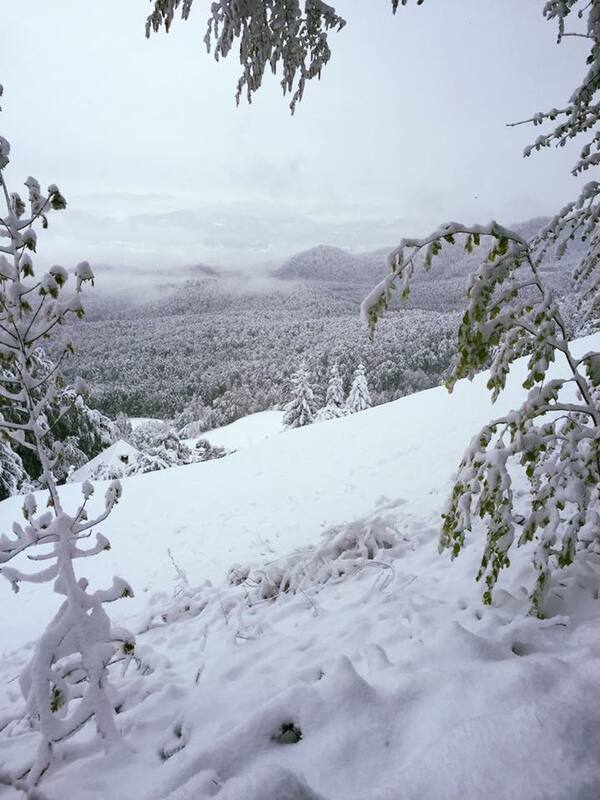 So this is what spring in the Karavanke now looks like! 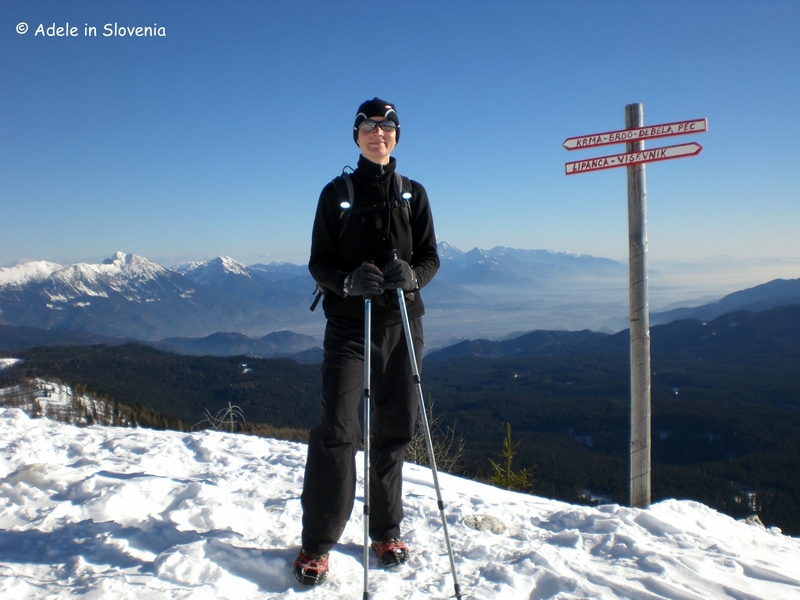 It wasn’t just in Gorenjska in the north-west of Slovenia either, it also snowed in other lower-lying regions of the country. 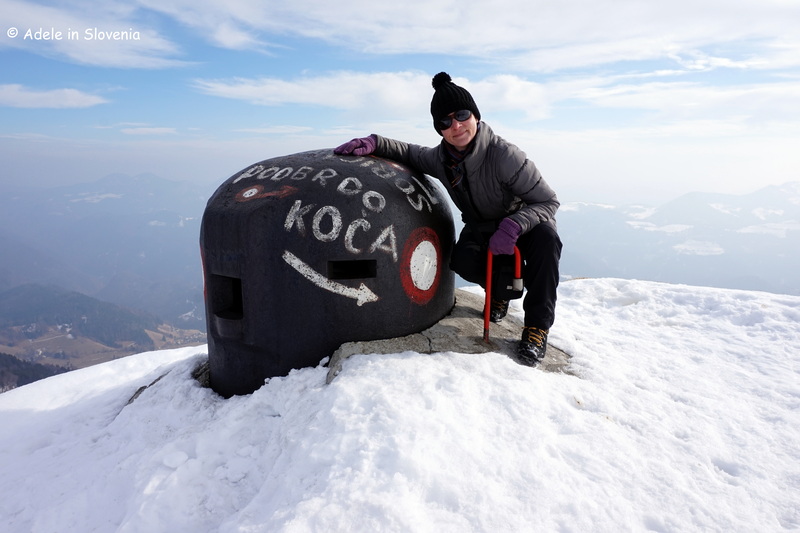 I spent 2 days in Dolenjska, in the south-east, and it even snowed there too. 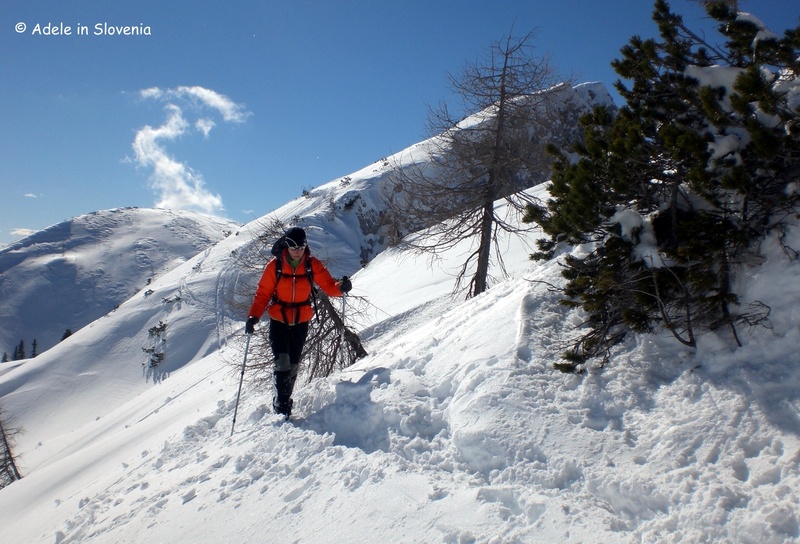 Hiking at the moment isn’t advisable as the late-spring snow is very wet and heavy, and has caused a lot of damage with branches and trees down, whilst the danger of avalanches is at level 4 – the highest level being 5. 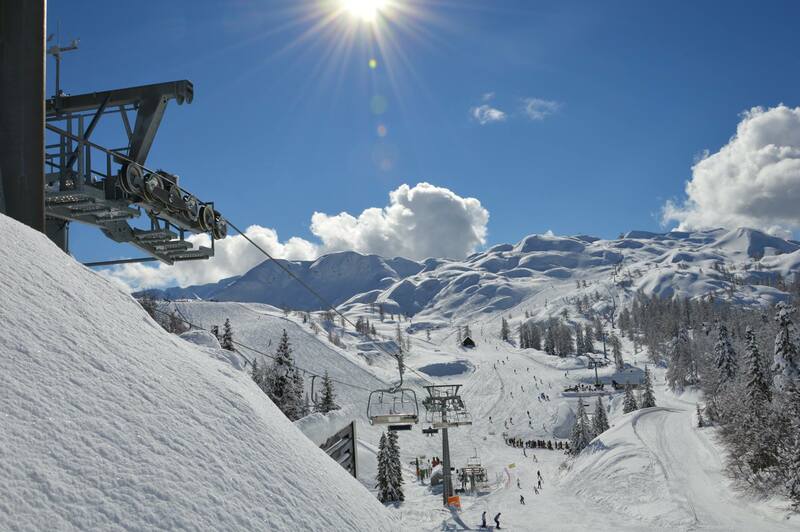 Instead however, those who are die-hard fans of winter and skiing once again took to the slopes as the Vogel ski resort re-opened for the extended holiday weekend. 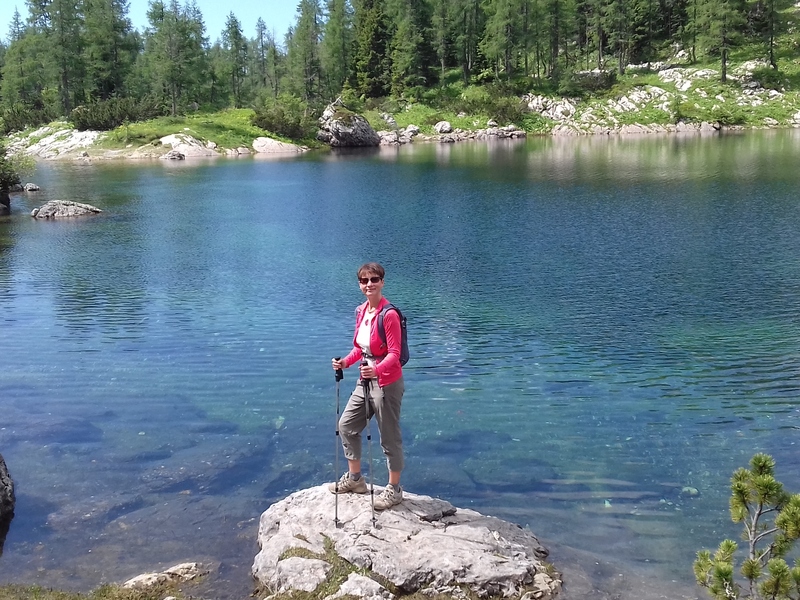 On Saturday it was a return to temperatures of 18 degrees and the valley was bathed in sunshine and the Sava river at Radovljica was looking its sparkling best when I went for an early morning walk. 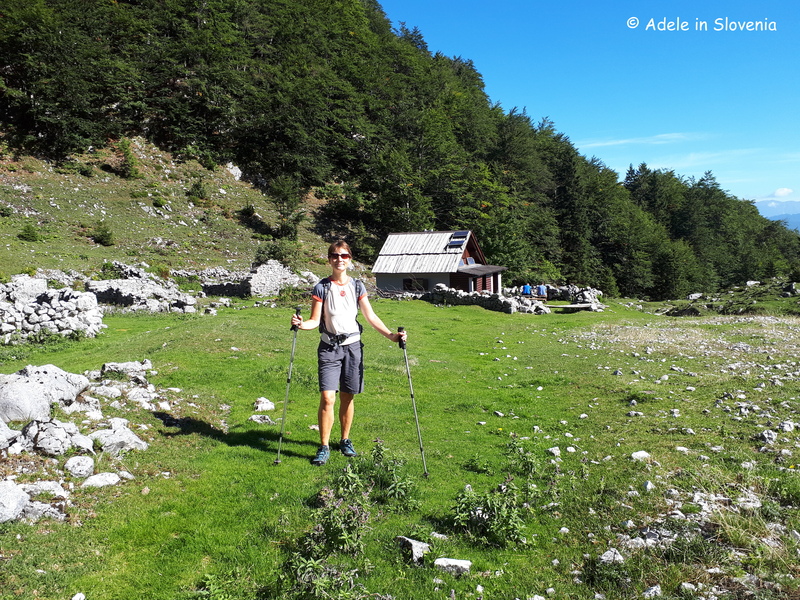 However, it was a different matter when I got into the forest as I tried, and in places failed, to pick my way under and over fallen trees on the path up to Talež. 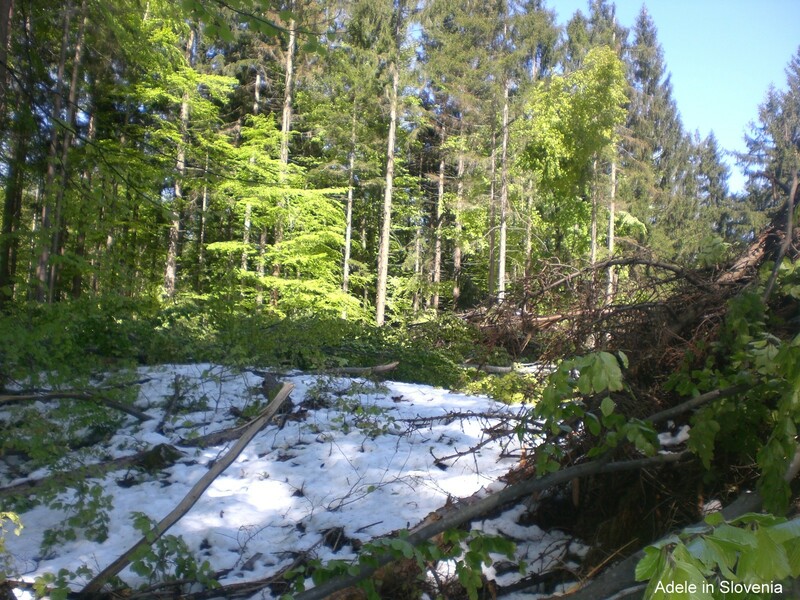 It’s amazing the devastation just 24 hours of snow caused – more than in the whole of last winter. I was amazed and saddened at the number of fallen trees and branches, almost reminiscent of the damage caused by the glaze ice two winters ago, though, thankfully, nowhere near to that extent. Some trees, such as this one below, had literally been torn apart under the weight of the heavy snow. Unfortunately it has also caused a huge amount of damage to crops and vines – in places its reported that up to 90% have been destroyed. This year’s honey production is also expected to be severely affected. 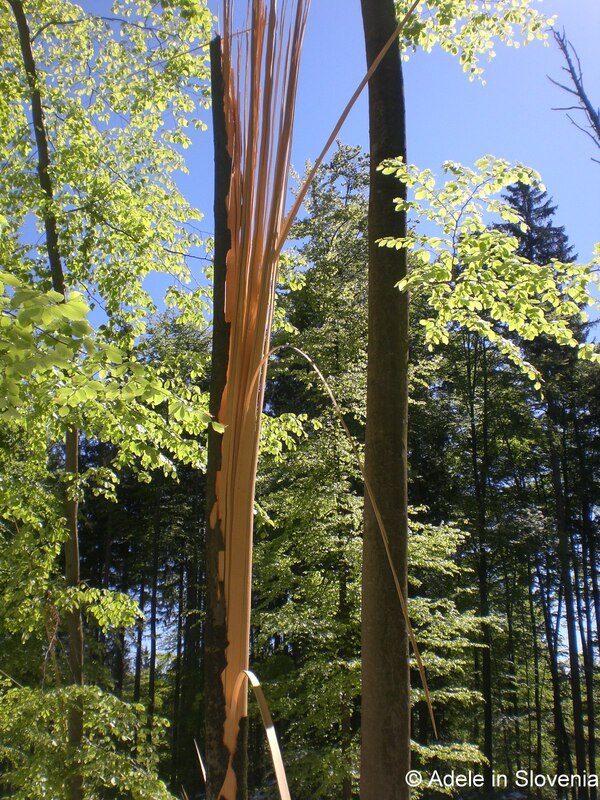 Over one-third of honey produced in Slovenia is acacia honey, and a large number of the blooms have been destroyed. It’s all such a shame and another reminder of the equal wonders and cruelty of nature. 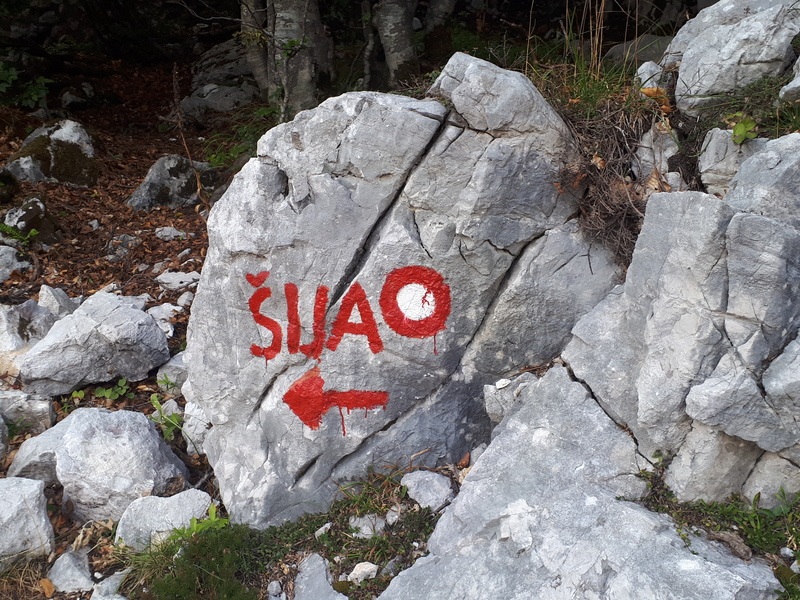 No, the title of this week’s blog isn’t a reference to the British cabaret act of (almost) the same name (Fascinating Aida), but in fact a reference to the fascinating archeological site of Ajdna. 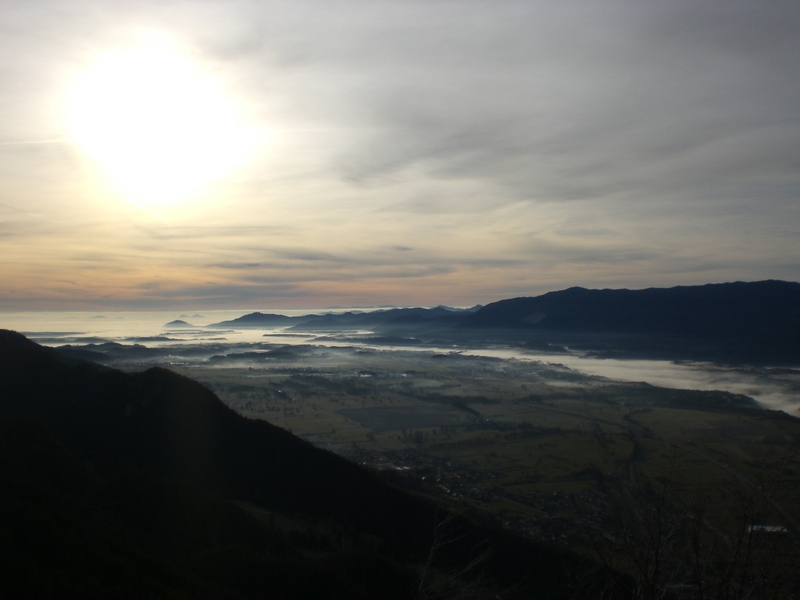 Ajdna is a peak, located at an altitude of 1064m, high above the village of Potoki. 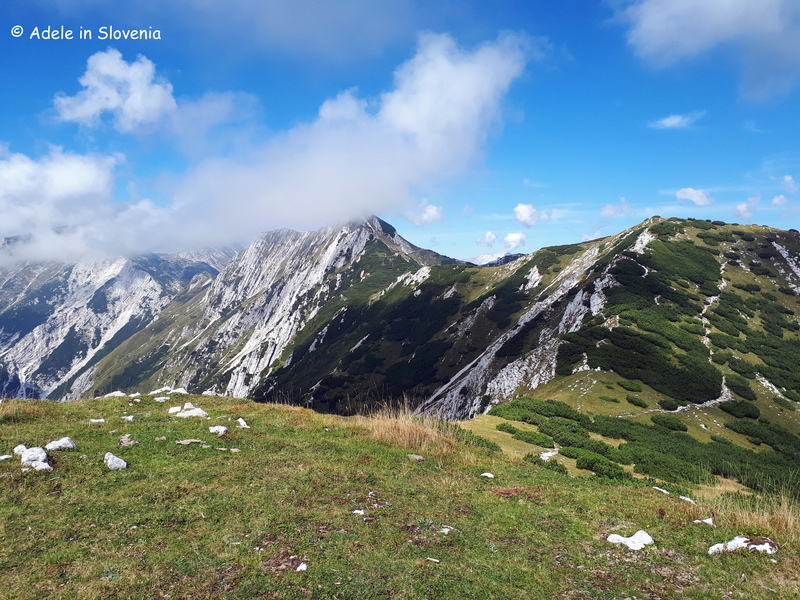 It is part of the Karavanke range, on the slopes of Stol which is the highest mountain in the Karavanke. 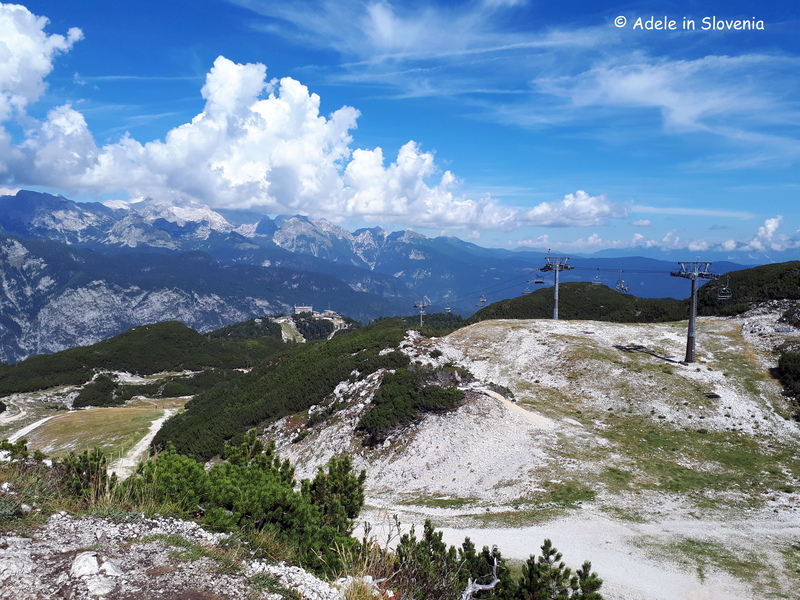 On a clear day, as it was when I went this week, the views along the Upper Sava Valley, as well as across the Julian Alps, are magnificent and far reaching. As well as being an interesting place to walk and to admire the views, there was another reason for my visit since last year, for my birthday, two friends gave me a necklace with a bird (as seen below), the symbol of Ajdna. 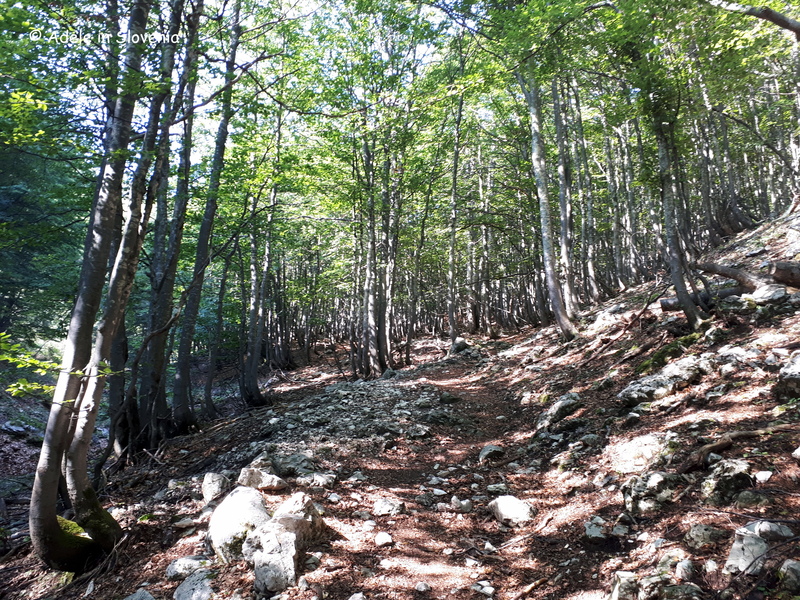 Following that, we all planned to go together for a walk there but for a variety of reasons i.e. too hot, raining, busy etc. our trip never quite came to fruition. So this week, with the perfect (spring) winter weather we have been having, I decided that now was the time to go. Who would have thought that it would be possible in mid-January! Today the site has been designated an archeological monument of great importance and has a protected status. 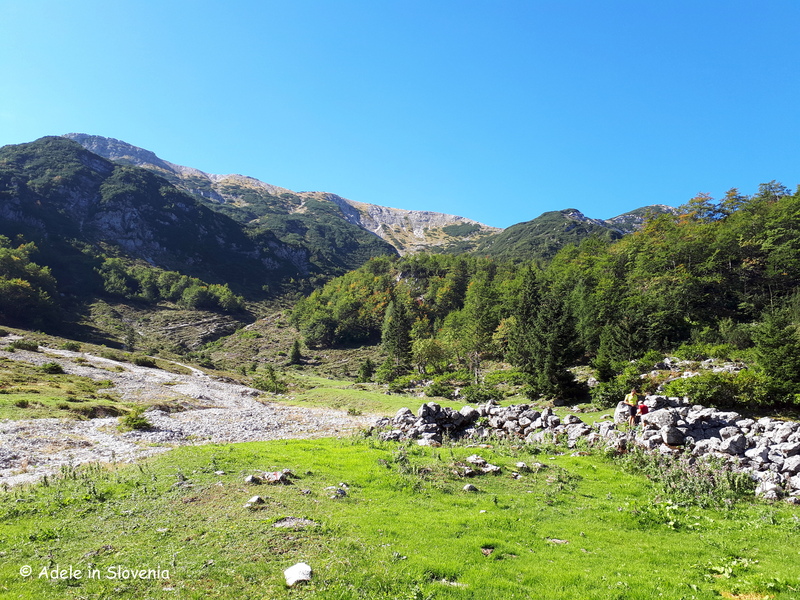 The settlement that stands here is thought to be from the late Antiquity, though evidence, some of it dating back as far as the collapse of the Roman Empire (476 AD), shows that it may have been inhabited far earlier. 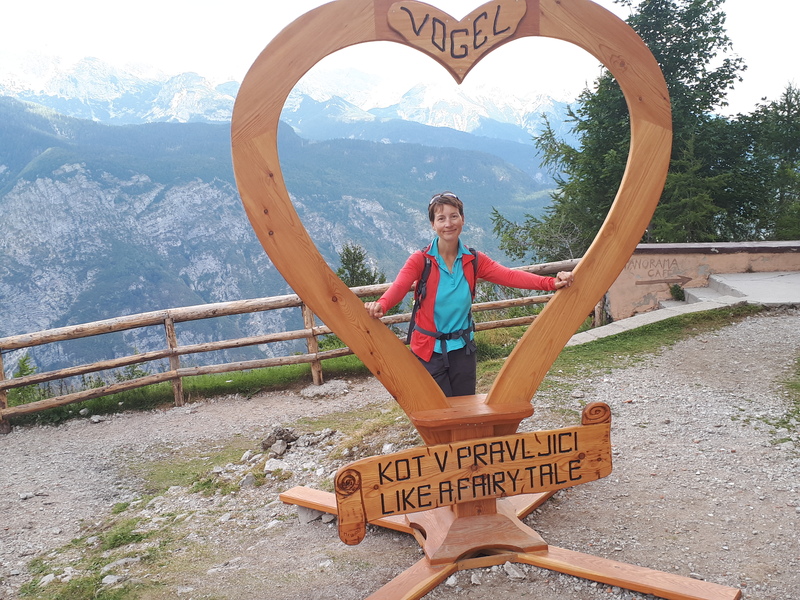 The peak provided locals with an excellent refuge from the troubles taking place down below in the valley, not to mention with excellent views too! 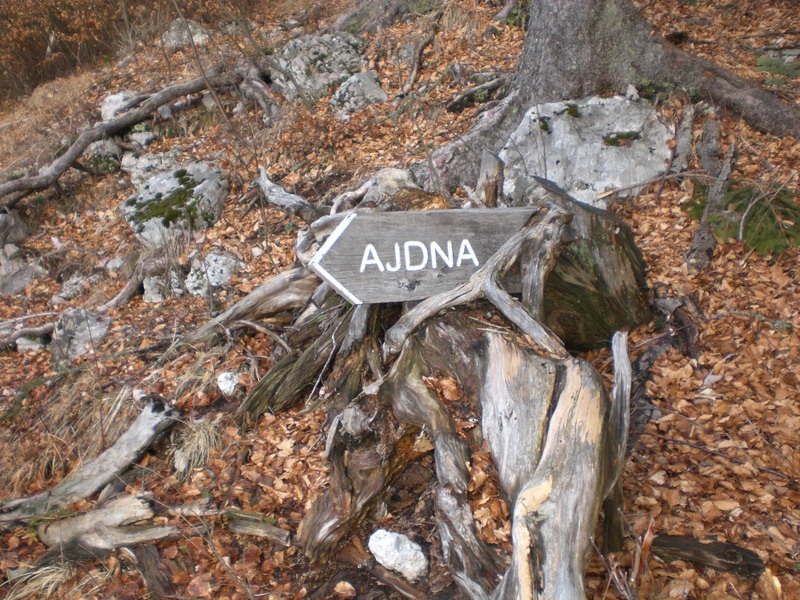 Ajdna is also thought to be the highest lying settlement of its kind in Slovenia. 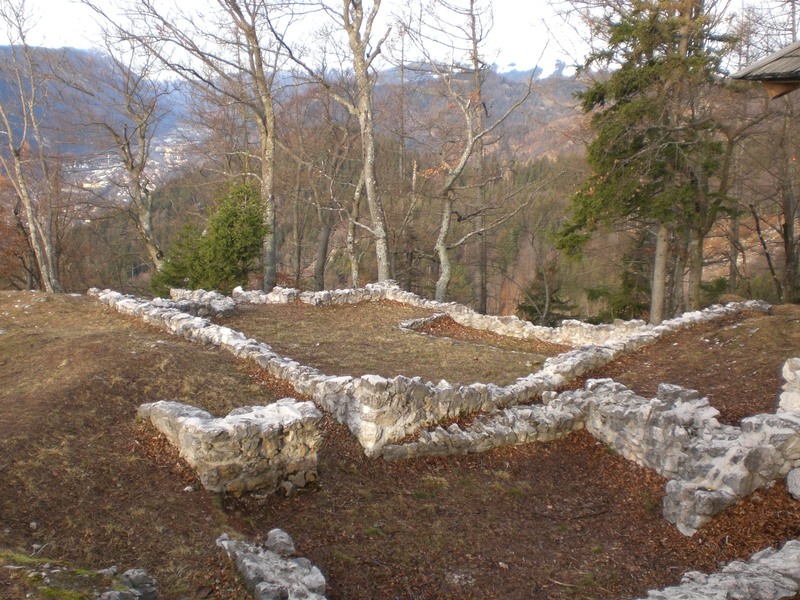 Excavations didn’t begin here until 1976 and since then remains of weapons, jewellery and other household objects, as well as many graves, have been found, some of which are now on display in the Gorenjska Museum in Kranj. 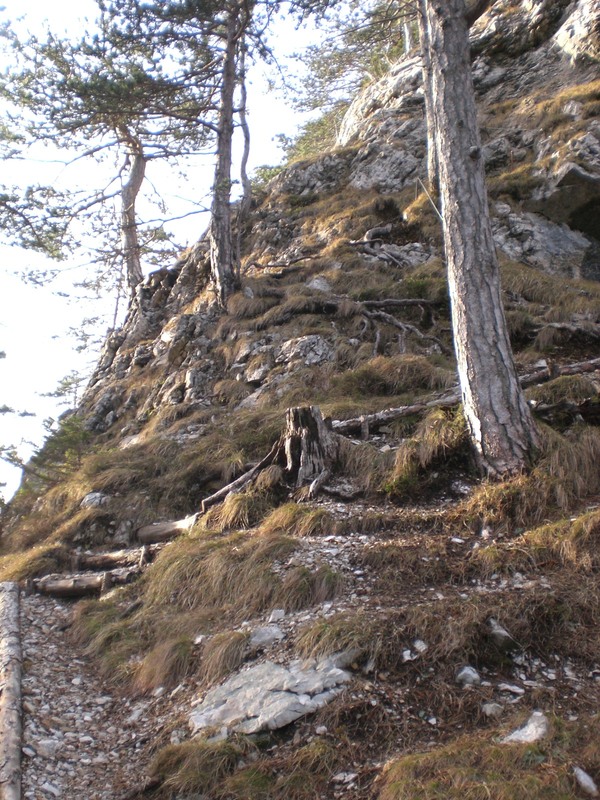 It is thought the site was home to around 100 people. 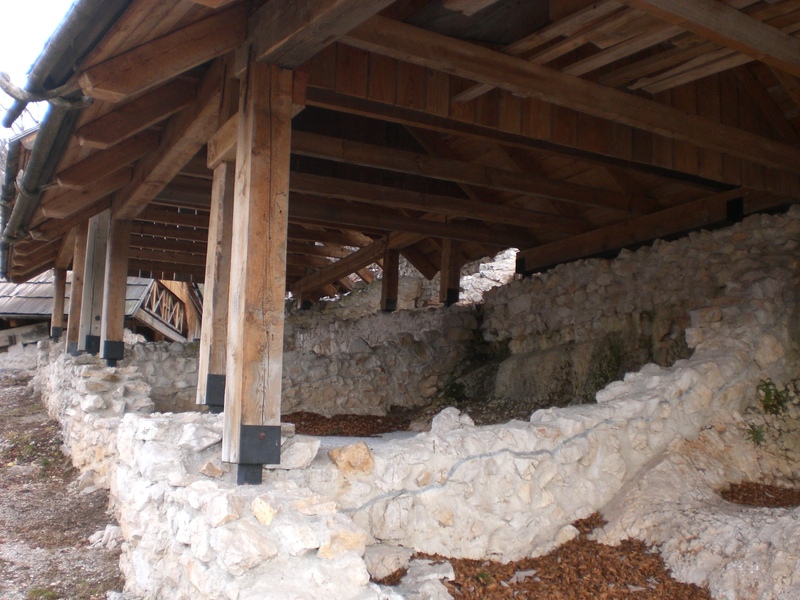 Today many well-preserved buildings still remain and there are photographs and posters documenting the finds. There are several ways to reach Ajdna, depending on which direction you are coming from and also depending on how far you want to walk. 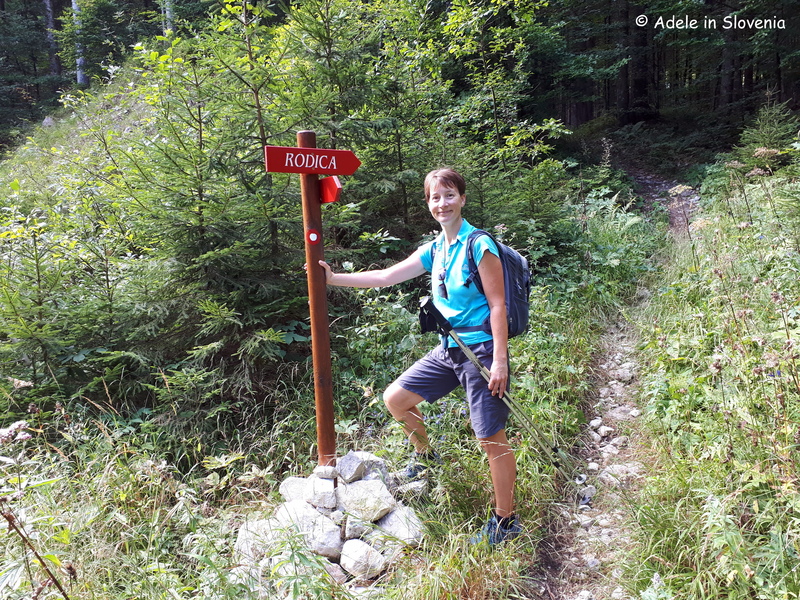 There is a path which leads directly up from Potoki or from Završnica, in the direction of the Valvasor mountain hut. So, as you can see from the photos, there is still no snow here in the valley. 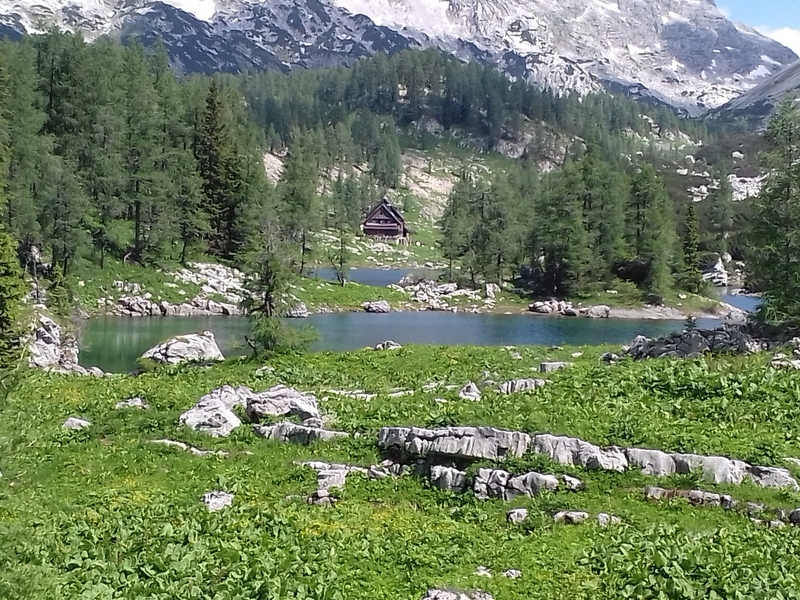 For the first part of this week, some rain is forecast, with snow at around the 1,000 metre level. 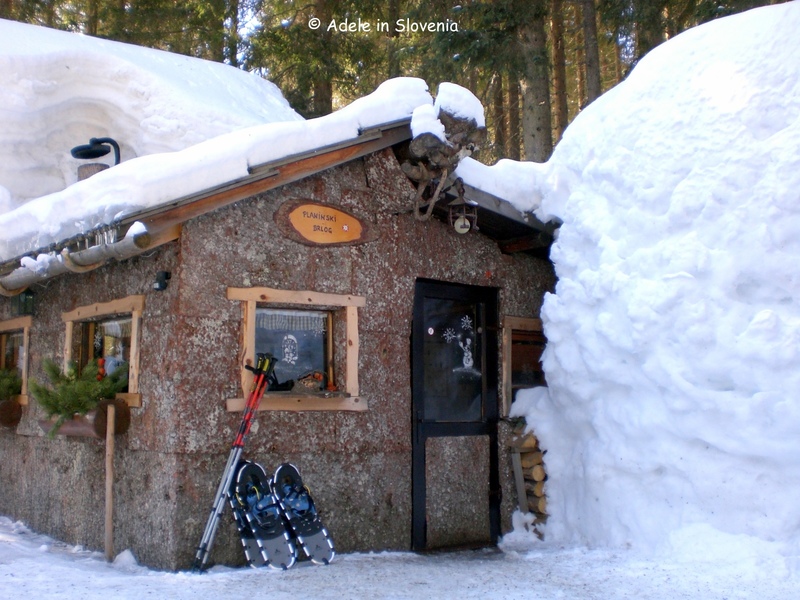 For anyone booked to ski at Kranjska Gora, I’m afraid to report that it is pretty green there. 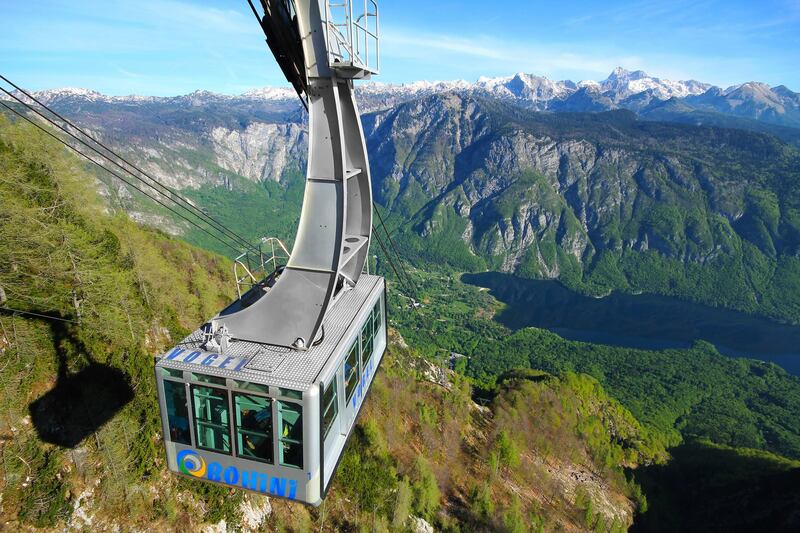 However, I’ve heard that some of the hotels are arranging shuttles to alternative ski resorts either within Slovenia or to nearby Austria or Italy so all is not lost. 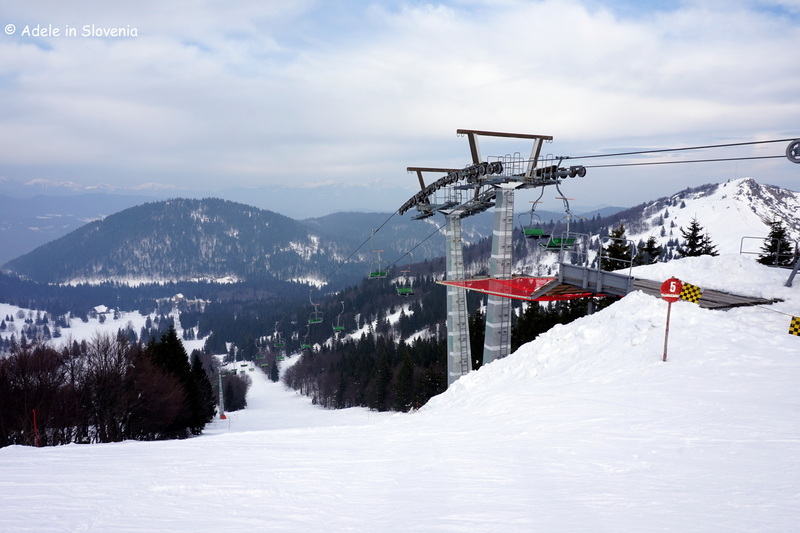 At Vogel and Krvavec however, there is plenty of snow and they are having a great season and with Slovenia being such a small country, its quite easy to get from resort to resort, without long distances involved. 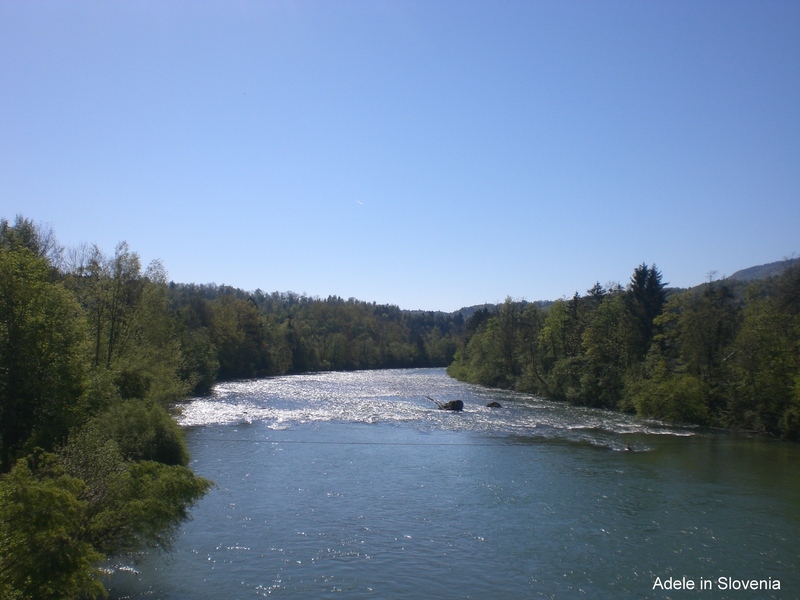 If you are visiting the area, whether to ski or not, there are of course plenty of other things to see and do to. Take a look back through some of my previous posts for some ideas. 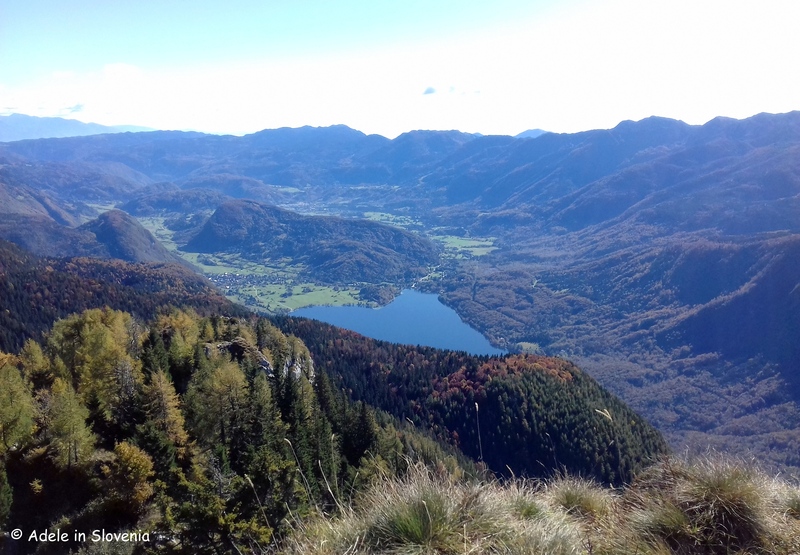 I’ve covered a pretty wide spectrum about Radovljica, where I live, but also about many other areas around the region and even further afield. 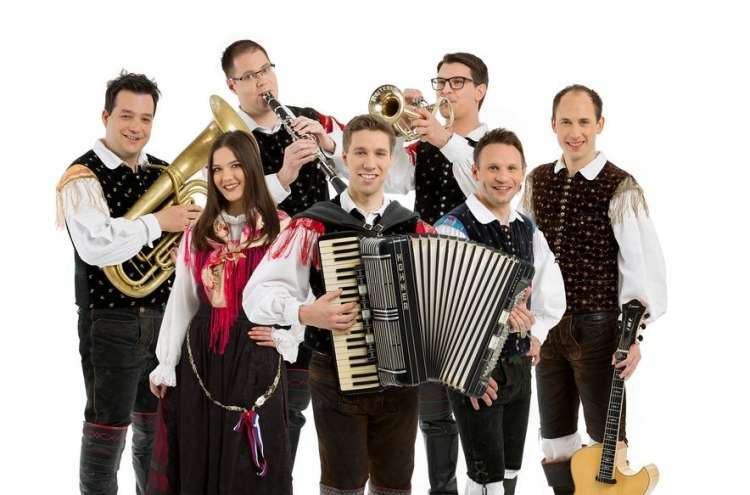 This week there will be a FREE guided tour of the medieval old town of Radovljica on Tuesday 14th January at 10am. 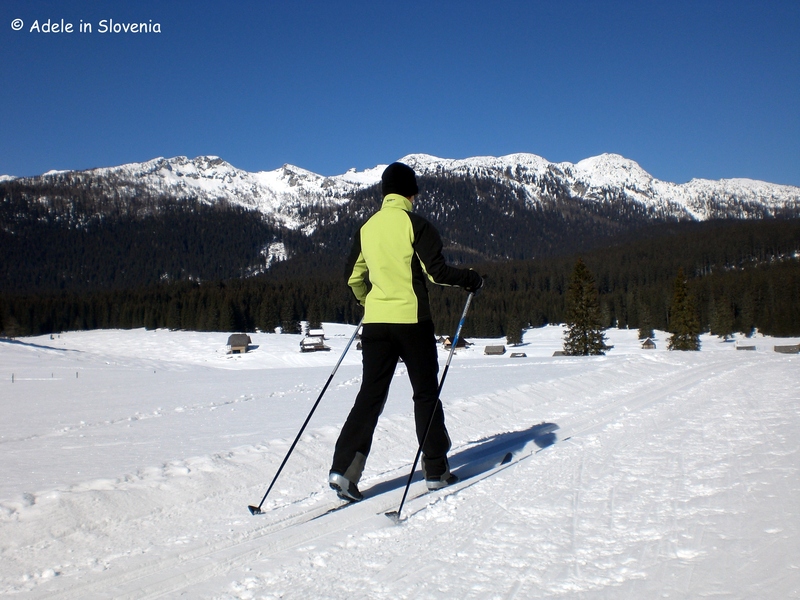 There is also an outdoor ice rink in Radovljica, open weekdays from 3-6pm, weekends from 10-6pm. Entrance is free for children up to the age of 18 (with their own skates) and just 2 euros for adults. 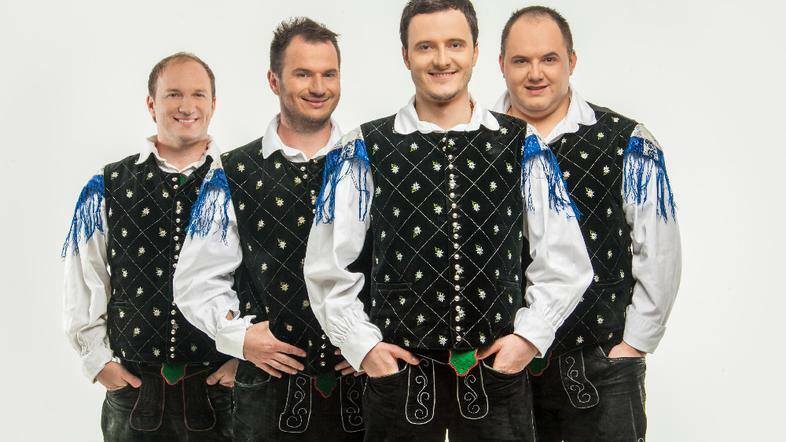 On Thursday 16th there will be a public production by the Avsenik Music School in Begunje beginning at 6.30pm at the Avsenik Museum – entrance is free.